Hot lunches are $5.00 each. 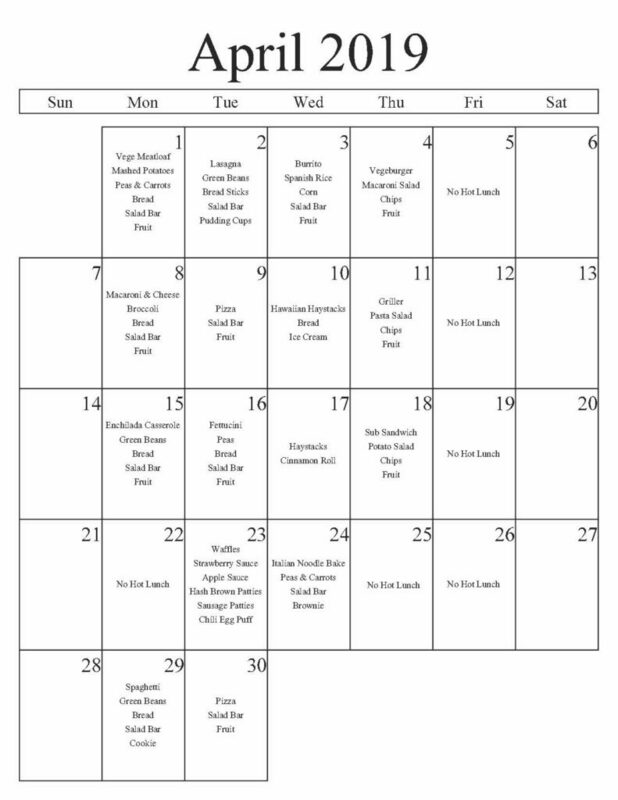 Our lunch menu is on the master calendar for each day it is served. They can be paid in advance online here, in the office, over the phone or in the cafeteria with cash. All students who wish to purchase lunch should make sure that they order during their second period class with their teacher. 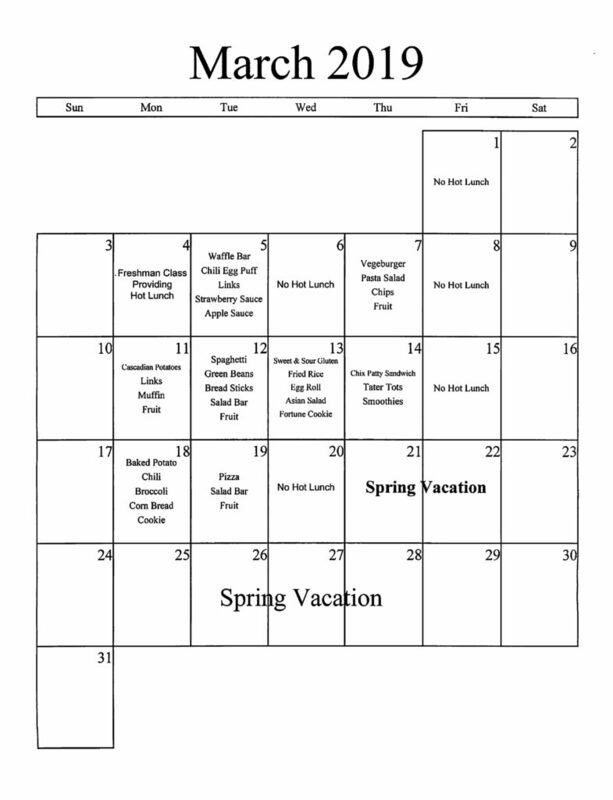 Students who have ordered lunch, but do not make it to lunch must still pay for the lunch they ordered.